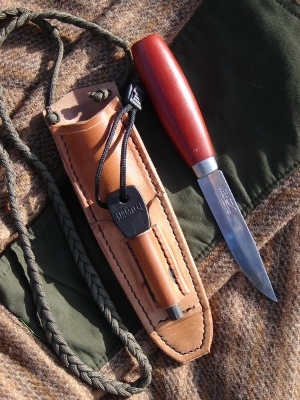 Welcome to the Green-Craft cutting tools section, below are a few pictures of Fallkniven's that we have made for use by others and right at the bottom are the combination of Mora of Sweden Classic with a custom Green-Craft Sheath. Please be aware that you must be 18 years of age or older to purchase any cutting tool from Green-Craft. 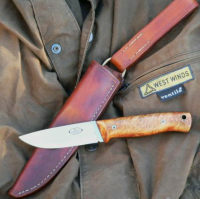 We have been using Fallkniven knives and blades for over a decade now and Leon will Now custom make a knife for other people. 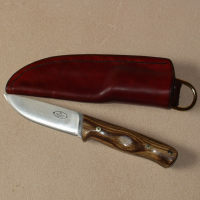 Basically if you want one drop Leon an e-mail and you can discuss what you want made (types of wood, bolts, liners and sheath design)and have a knife made to your specification. The average cost of an F1 is currently £250 and a WM1 £175. 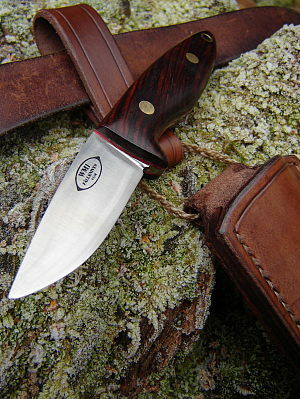 This is the Forsts Mora Classic No'1, a reliable knife that has a given place among the tools of a handcrafter. It has a blade of carbon steel and a handle of red ochre birch. 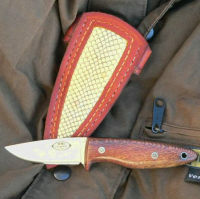 It has been fitted with the Green-Craft neck sheath which is hand made and stitched. 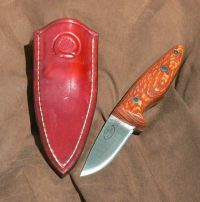 It has a built in firesteel loop and a pocket for a fallkniven D3. 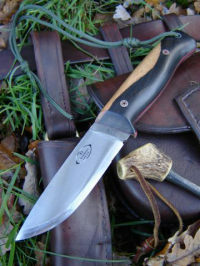 The neck sheath is fitted with 3 metres of braided type III paracord. Leon will make them in Saddle Tan, British Tan, Dark Brown, Black or leave it Natural if you wish. They cost £55 before shipping.